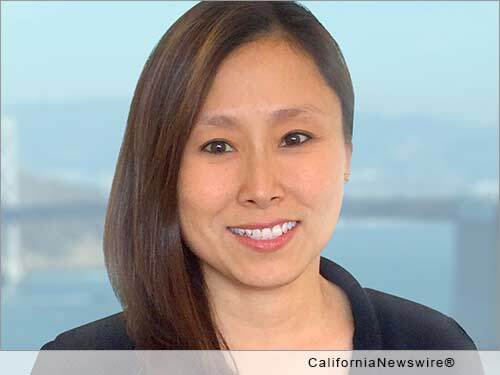 SAN FRANCISCO, Calif. /California Newswire/ — EPIC Insurance Brokers and Consultants, a retail property, casualty insurance brokerage and employee benefits consultant, announced today that Karman Chan has joined the firm as Chief Financial Officer (CFO) in San Francisco. EPIC's current CFO, Michael Gonthier, will transition to a new EPIC position as Chief Administrative Officer (CAO). Gonthier will be assuming corporate responsibility nationally for agency operations, human resources, information technology, and project management, as well as playing a key role in mergers & acquisition due diligence and integration. Gonthier will continue to be based in Boston. Chan brings more than 20 years of experience in operations, finance and accounting, and administration to EPIC. A CPA by training, Chan has had significant exposure to the insurance and financial services industries. During her seven year tenure as CFO of the Large Groups Business Unit at Blue Shield of California, Chan was instrumental in reshaping the Mid/Large sector, producing a significant increase in profitability. She also spent six year with Charles Schwab and Co., Inc. in a range of positions including Vice President of Corporate Planning and Analysis. Prior to Joining EPIC, Chan was most recently CFO and Turnaround Officer at Pacific Pulmonary Services in Novato, Calif.
"I am very excited and motivated by the chance to work for a dynamic, fast-paced company like EPIC, where I can play a leading role in developing and executing growth strategies and use my skills and ability to impact areas beyond finance," said Chan. As CFO for EPIC, Chan will be responsible for all Finance and Accounting functions across the organization. Additionally, Chan will provide support to the firm's managing principals and branch leaders by assisting them with financial planning and economic modeling. Chan will also oversee all fiscal and fiduciary responsibilities for EPIC. "With EPIC's focus on growth and national expansion, Karman's exceptional knowledge and experience, coupled with her strong planning and analysis skills, make her an outstanding addition to our executive team," said John Hahn, co-founder and CEO of EPIC. "In addition," Hahn added, "having Mike Gonthier broaden his responsibilities as our Chief Administrative Office will be critical in taking our agency operations, human resources, information technology, project management and M&A efforts to the next level as we continue to expand and scale EPIC across the country." Chan earned a Bachelor of Science degree in Accounting, with a minor in Finance, from Indiana's Purdue University. She is also a Certified Public Accountant (CPA). Headquartered in San Francisco, EPIC Insurance Brokers and Consultants has nationwide presence with a depth of industry expertise across key lines of insurance, including commercial property and casualty, employee benefits, unique specialty program insurance, and private client services. Since its founding in 2007, EPIC has grown revenue from $5 million to $160 million through both organic growth and strategic acquisitions, and remains a fixture on the insurance industry's "Best Places to Work" lists. Its strategic partners include private equity firms The Carlyle Group and Stone Point Capital.